Today I received my first Aussie Swap Block from Beth D., in QLD, Australia! I was so excited when I saw the package. I love the colors and the card- thank you so much, Beth. It was great seeing you today, hope to meet again. 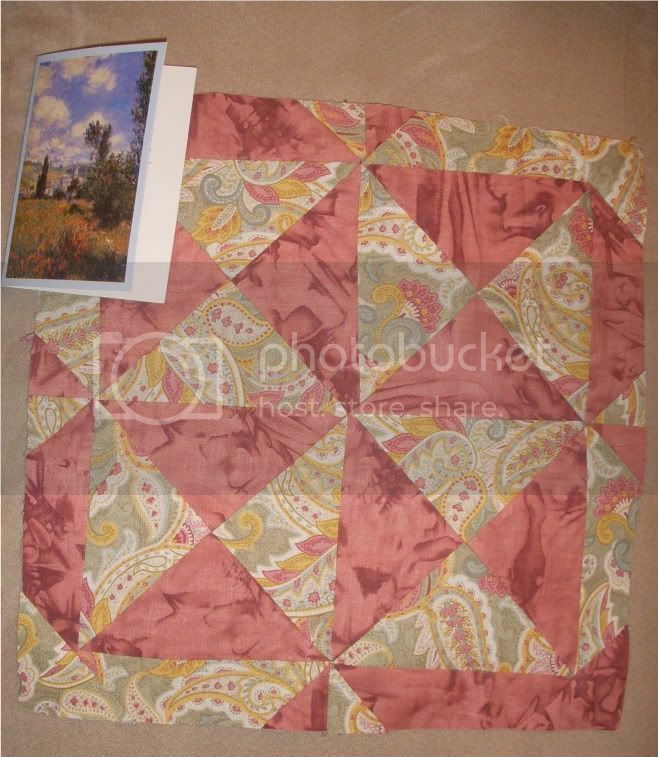 The block fabric looks very pretty... and the pattern is a little different too!